Fairy tales, steampunk, and magical realism are literary genres at the top of our list. 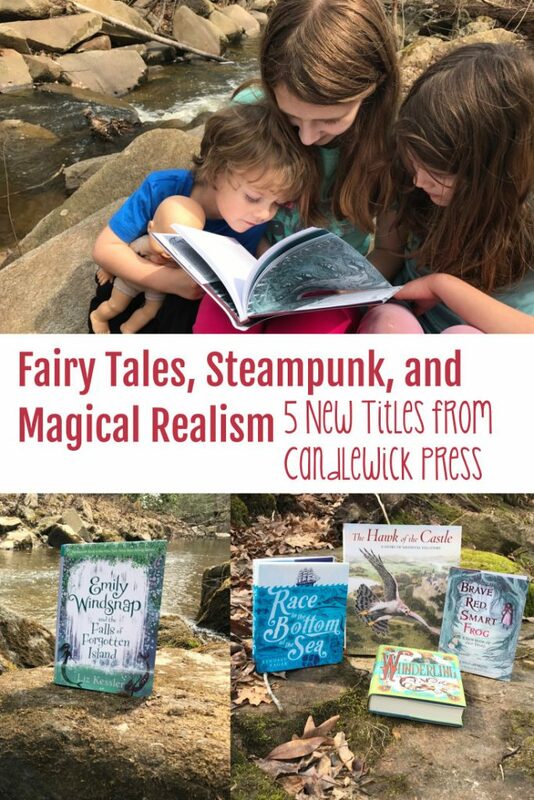 We were in heaven when we found these five incredible titles from Candlewick Press – read on to check them out for yourself! This post is sponsored by Candlewick Press. I received complimentary copies of the five books reviewed and was compensated for my time. All opinions are my own. 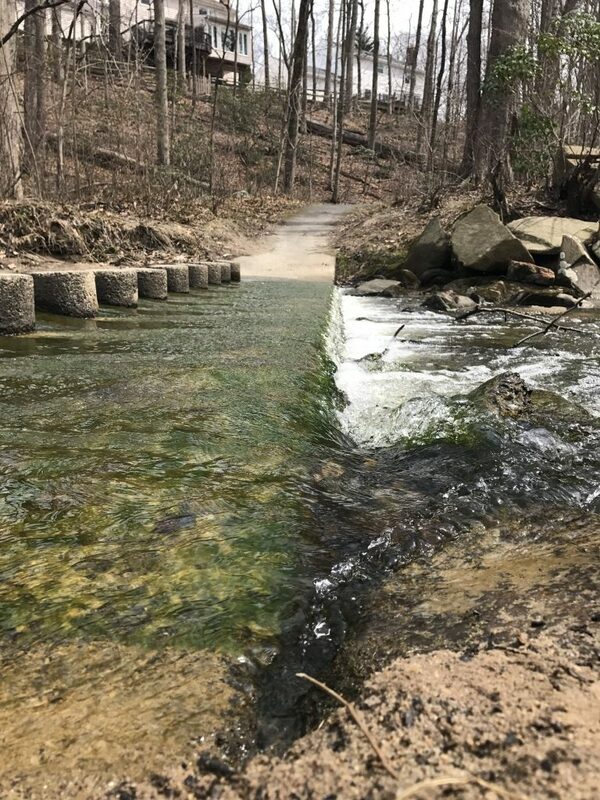 50 yards from my house there is a creek bed. It winds for miles through our county, breaking into tributaries, forming lakes, and rushing over rocks like a mighty waterfall. 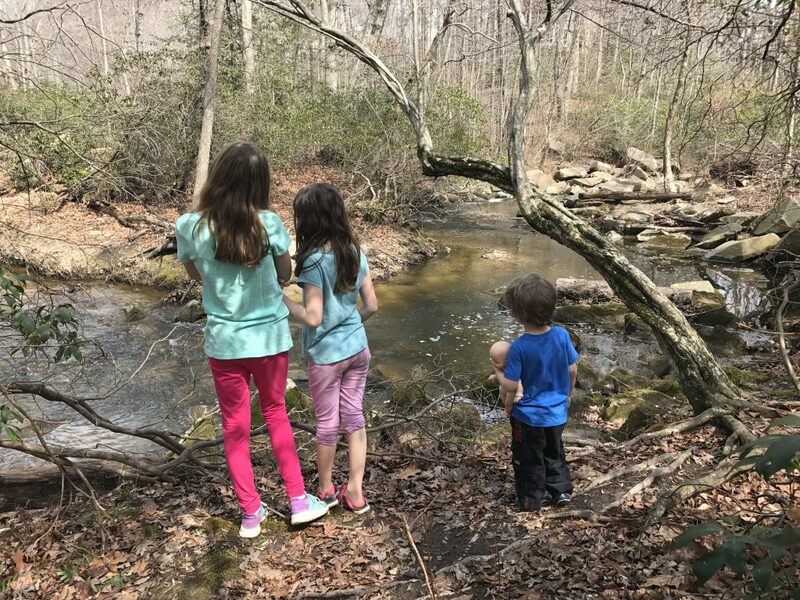 A network of trails follows the most navigable parts, but the best spots are the hidden places: through the woods; down steep ravines; under branches and arbors; over boulders and logs. There’s a feeling of mystery there – a splash of awe and wonder. A climb here, a leap there, and suddenly the world is made of magic. We imagine we are folk from a fairy tale, dodging tree sprites as they gather their gold. It’s no surprise, I suppose, that we love fairy tales. 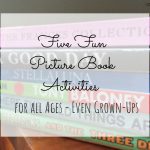 My kids love them because the stories are entertaining and fun. My interest, though, is a little more academic: their elements and themes permeate the literary canon. You can’t study contemporary or modern literature without knowing where those themes originated. 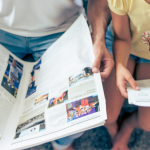 You also can’t expect kids to appreciate such matters unless you teach them to connect point A to point B.
Fortunately, I found five titles from our favorite publisher – Candlewick – that accomplish this for us. 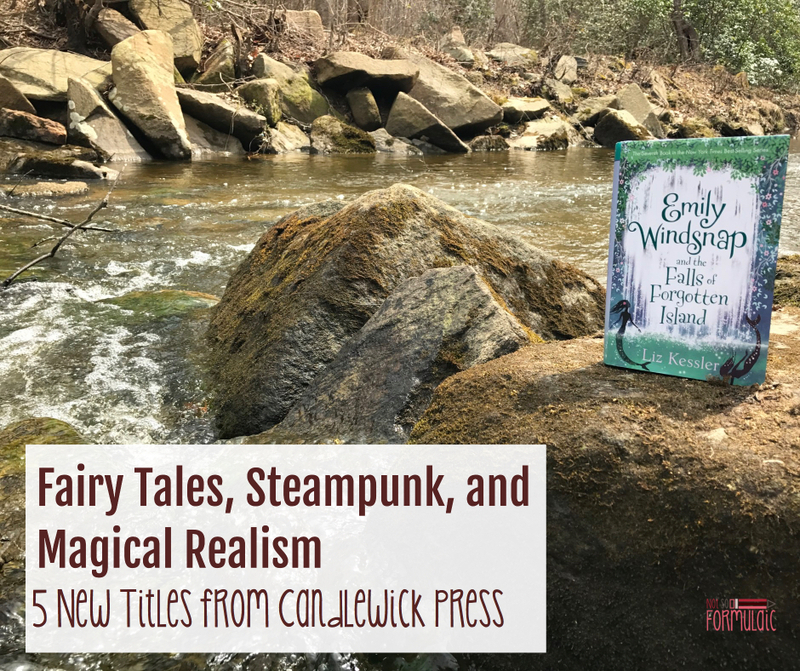 We’ve had a blast digging into these amazing kidlit titles, tracing the presence of fairy tales, magical realism, and steampunk elements through them all. 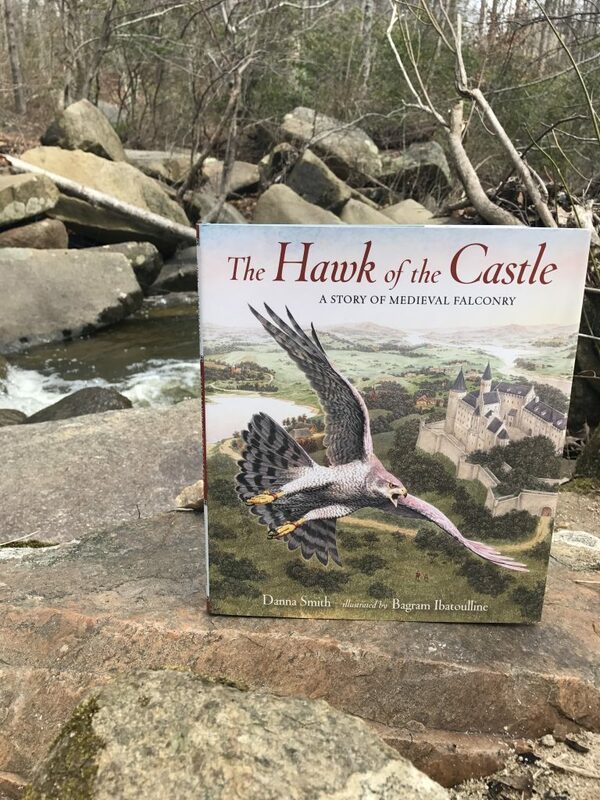 In The Hawk of the Castle, Dana Smith offers a close-up look at medieval falconry and portrait of life inside a medieval castle. Told with equal parts practicality and wonder, Smith combines lilting verse with accessible, informative prose. Ibatoulline’s illustrations fill the page with warmth and color, a fitting companion for the majestic story of a falcon and his keepers. We identified simple machines in the story. We discussed how these machines helped the characters throughout. We talked about what makes technology “technology.” Does it have to be made with computer screens and batteries? Or can it be something else? We explored the architecture of the castle, and we learned how castles were built. We made our own Lego castles as a way to implement what we learned. We observed birds of prey in our area in the forest surrounding our home. We have several species of hawk and even a few bald eagles who nest in and around Northern Virginia. I asked my kiddos to identify the simple machines in the story and to think about the process in which the castle was built. We talked about the way in which these machines helped the characters solve problems; we discussed what makes technology “technology.” How did they build the castle? What elements of technology do you see? How do they help the characters solve problems? Look up and learn about Medieval tools and architecture Learn about the different species of Hawk and Falcon Watch this falconry video with River and Wilder, two brothers who go on some pretty cool adventures! Yes, this quote is from The Hawk and the Castle, but it highlighted an important element for us as we moved forward with our Candlewick books. In The Hawk and the Castle, the animals are neither pets nor companions. They are simply acquaintances who rely on the humans for shelter and food. In Brave Red, Smart Frog, that perception of animals begins to change. 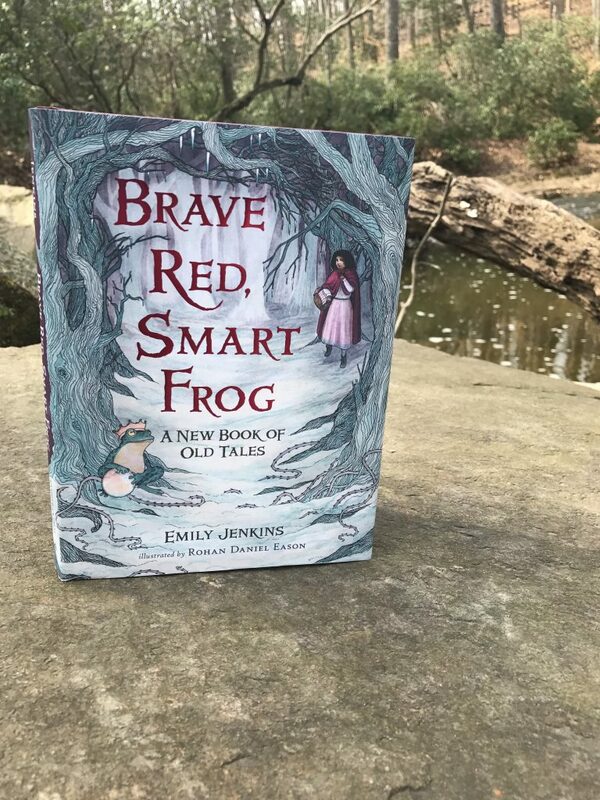 Emily Jenkins retells seven classic fairy tales from a fresh new perspective, exploring questions she had as a child when she read the original work. My first task was to connect the portrayal of the falcons in our previous book with the animals in Jenkins’ tales. Which stories contained characters with close relationships to animals? How does this make the story more fanciful and less real? I used our answers to these questions as a way to introduce common themes in fairy tales. I spent a semester of grad school studying Romantic and Victorian children’s literature, and I love to use those skills when I can. We looked through each of the fairy tales and explored where we saw these themes. We found that appearances were not always reality and that many characters experienced some sort of transformation or change. Additionally, most of the heroines were so by virtue of their humility. Those characters who were prideful got a healthy dose of justice, frequently unsavory in kind. 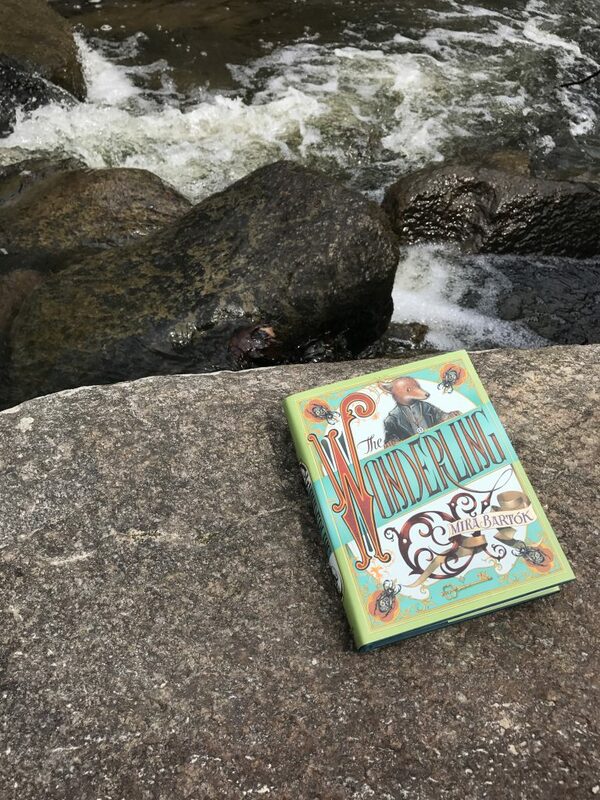 Mira Bartok’s The Wonderling is the perfect marriage between fairy tale and British literature, a delightfully Dickensian kidlit novel that delves into the steampunk world. The Wonderling’s protagonist is Arthur, an orphaned fox who knows little of his past. He can’t remember much before he came to live at Miss Carbunkle’s Home for Wayward and Misbegotten Creatures, an anthropomorphized version of the orphanage in Oliver Twist. Miss Carbunkle is anything but a caring house mother; her home and her inventions are dark, at best. But young Arthur rises to the occasion with the help of a kiwi named Trinket, and together the two bring justice and freedom to the inhabitants of Carbunkle’s home. I mentioned steampunk at the outset, a genre of film and entertainment which combines the steam-powered technology of the Industrial Revolution with anachronistic settings and costume design. The Wonderling is more steampunk than fairy tale, but the aesthetic doesn’t completely abandon the tropes. Arthur is a true fairy tale hero with a coming of age story; he also happens to bear the same name as the legendary King Arthur of Camelot. I wanted the girls to see the connections among the previous Candlewick kidlit we’d read, so we talked about the differences between Miss Carbunkle’s home and the castle from The Hawk of the Castle. The two structures are similar, but Miss Carbunkle’s is decidedly colder. I also asked the girls to tell me the role of technology: how do the steampunk inventions serve the characters? Does it solve problems or create them instead? 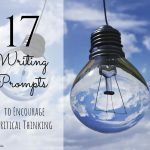 Finally, we went through our list of fairy tales themes and matched them to events and characters. They enjoyed seeing the way the books lined up. Dig Deeper Take a look at the Legend of King Arthur Check out Steampunk for Kids Brainstorm and draw a steam-powered invention. What could you do with a steam-powered car? Fidelia Quail finds herself in quite the predicament. Her parents, the famous Drs. Quail, have disappeared and are presumed dead after taking Fidelia’s invention, a submarine, out into open water. Grieving and alone, Fidelia ends up in the company of Merrick the Monstrous, a desperate pirate with mysterious motivations. Through the course of the novel, Eagar crafts an enjoyable coming of age story where nothing is quite what it seems. Race to the Bottom of the Sea continues both the fairy tale and steampunk themes. We focused on the various inventions in the novel, many of which were plausible but nonexistent in their current form. 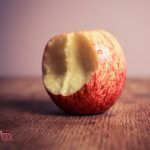 The girls identified two main fairy tale tropes: coming of age for Fidelia, and the difference between appearances and reality. They also noted a strong loyal streak in Fidelia, and I pointed out the similarity of her name to fidelity, much to their delight. Merrick the Monstrous is one of many pirates to have sailed the seven seas. Explore the story of one of the most famous historical pirates, Blackbeard, whose main haunt was the Bahamas and the Eastern coastline of the United States. Watch the film adaption of 20,000 Leagues Under the Sea, the classic by novelist Jules Verne. Have fun with the book Oceanology, a favorite in our house. Build a diorama of the sea floor. Create submarines out of toilet paper rolls. 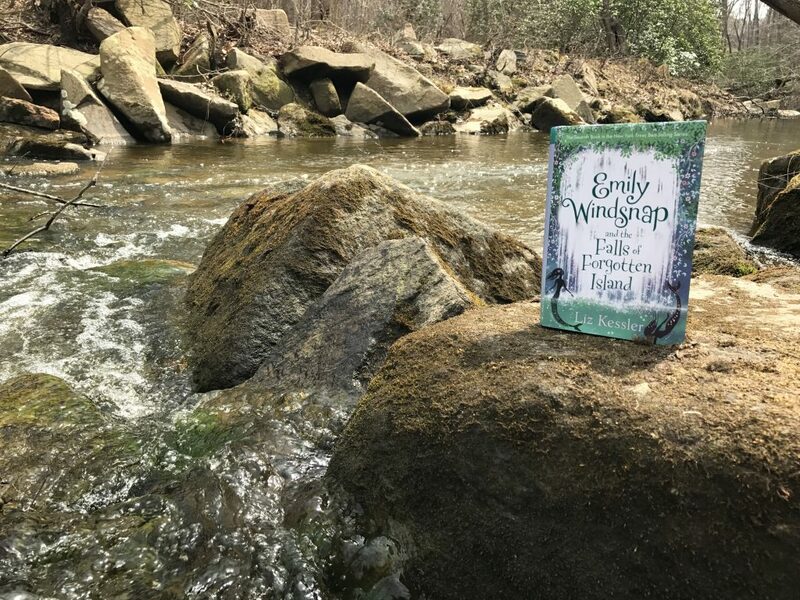 The final book in our Candlewick selections is the seventh in a series of books: Emily Windsnap and the Falls of Forgotten Island. My girls loved this book. They loved it so much that I still haven’t gotten a chance to read it. 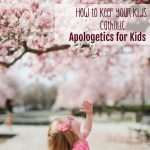 But from what we’ve talked about, here’s where I think you should go with your kids. Emily Windsnap is a mermaid, or at least part – mermaid, that is. Kessler’s novel moves away from the steampunk genre and into magical realism, a literary form first popularized by South American author Gabriel Garcia Marquez. Magical realism is the willing suspension of belief – the ability of the author to carry off a fantastical event or atmosphere as though it were nothing out of the ordinary at all. Marquez first did this in his short story “The Very Old Man with Enormous Wings,” in which a full-fledged angel crashes weak and weary onto a South American sea village shore. Emily Windsnap is similar. Nobody bats an eye that Emily isn’t completely human. In fact, many of the characters seem rather blase about that mythical aspect; it’s as if seeing mythical creatures in person is an everyday occurrence. The girls took the initiative with this novel, and I was really excited to see the connections they made. Forgotten Island is like Miss Carbunkle’s home because it’s been cut off from reality, but different in that its inhabitants aren’t mistreated or abused. The characters are aided by a number of animals, similar to Jenkins’ fairy tales. Explore Greek Mythology on this great website for kids. Learn about Magical Realism and create your own story in that style. Interested in these Candlewick titles? You’re in luck – I’ve got a great discount for you. Finally, I’m excited to announce a great Candlewick Giveaway: 30 winners get a free copy of Judy Moody paperback #1! 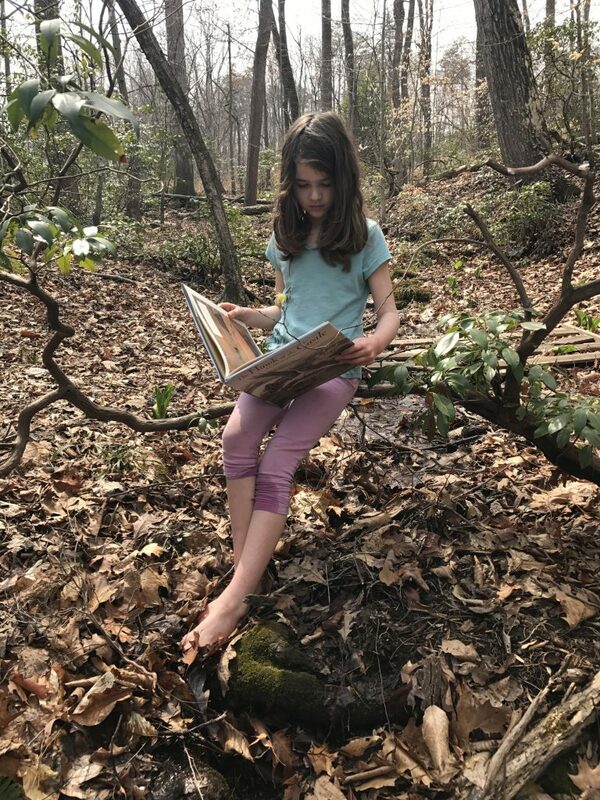 What we love most about our new books from Candlewick is their connection to the forest we call home. 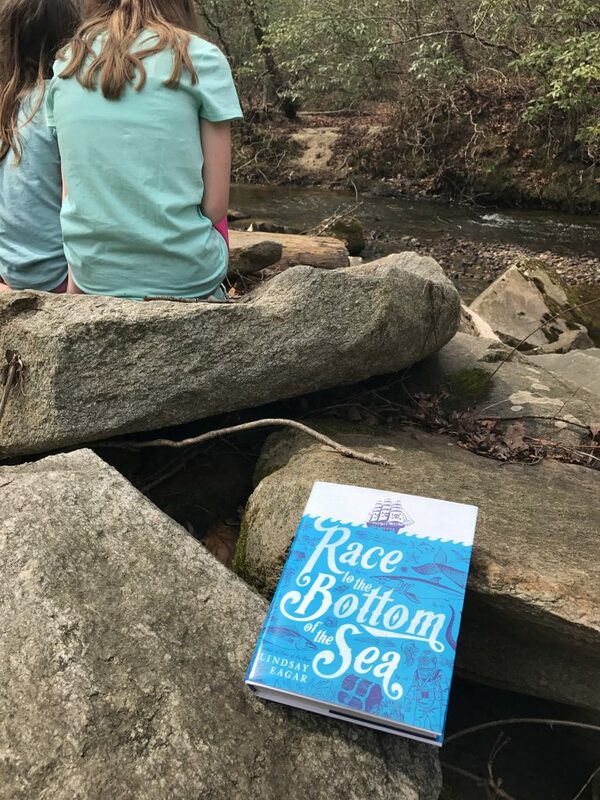 Their settings, their stories, their characters felt so familiar – how could we not carry our beloved titles down the ravine to the water below? Take a moment to add these titles to your bookshelf. I guarantee you’ll be as caught in their magical spell as we were. You won’t be sorry you brought them home. Enjoy this post? 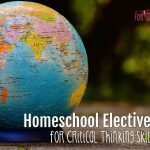 Read on, and sign up for my homeschool newsletter.